All meals are served with milk, which is included in the prices listed above. An additional milk, or 2nd milk, may be purchased for $0.30. A la carte items are also available at an additional cost. The attached chart will assist families in budgeting meal costs for each month and aid in pre-paying for student lunches. Parents have the option to place purchasing restrictions on student's meals purchases. Please notify the Glenpool Child Nutrition Office if you would like to use the option of account restrictions for your student(s) for the current school term by submitting this account restrictions form. It is not mandatory that restrictions are set for your student(s). This is an optional service offered to parents/guardians to help monitor their student(s) account(s). Restrictions placed on your student(s) account will remain until the Child Nutrition Department is notified by a parent/guardian. Every child needs lunch during the school day. Research has shown that hungry children cannot learn. A child with an empty stomach is lethargic, irritable, and is not able to participate in learning experiences. Good nutrition is critical to student achievement. 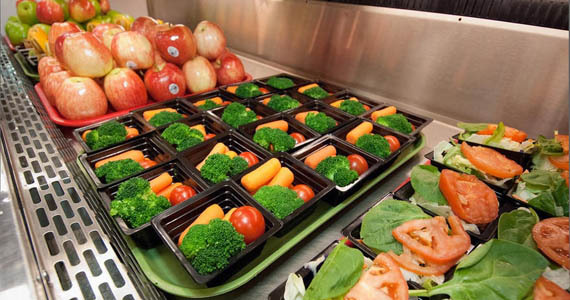 A school lunch is planned to provide one third of the Recommended Dietary Allowances (RDA) based on the student’s age. Minimum quantities for each age group must be served, but larger amounts can be offered based on student needs. We would like to encourage you to fill out an application for free and reduced price meals for your student(s) any time during the school year. There are many positive reasons and results that occur by your doing so. If your student is in need of a refund of the balance in their meal account, please complete the Refund Request form. Balances left on a student’s account at the end of the school year will carry over to the next school year unless a parent/guardian requests a refund of that balance by May 31st of the current school year. Please note, refunds will not be given on balances of less than $5.00. To request a refund because you are moving, you must provide us with your new address. Refunds that are mailed out and returned will be used as a donation to the Child Nutrition Department. If a student withdraws and there is money left on the account that is not refunded, that money is also used as a donation. After verification by the Board of Education, the Encumbrance Clerk will issue a refund check. Please allow 4-6 weeks for your refund. Option 1: If a graduating Senior has youger designated student in the Glenpool Public School District, a parent/guardian can submit the Transfer Funds form to have those funds transferred to the designated sibling’s account. The request for transfer should be made by May 31st of the current school year. If no request is made and there is money left on the account that is not refunded, that money is also used as a donation. Option 2: A parent/guardian may request a refund on the monies in the account. To obtain a refund, a parent/guardian must complete the Refund Request form by May 31st of the current school year. If no request is made and there is money left on the account that is not refunded, that money is also used as a donation. After verification by the Board of Education, the Encumbrance Clerk will issue a refund check. Please allow 4-6 weeks for your refund. Meal applications may now be completed online through the Parent Portal. Log into your account, choose Applications/Forms from the left menu. Need assistance? Come to the enrollment center for guided support. Kiosks will be available during meet the teacher events at each site. Still need assistance? Call the Child Nutrition office at 918-322-9500 x529. For assistance with translated Free/Reduced Lunch Applications, please contact Maressia Range at 918-322-9500 x529.